As 2015 comes to a close, we want to reflect on our amazing accomplishments this year through our Moving Monday campaign, a weekly email sent Mondays throughout the month of December that spotlights how we are changing the food landscape throughout Florida. Our work has impacted farmers, consumers and the community so we want to thank our Friends of FOG members and donors for their support as they have been vital to our success. We encourage you to join with us as we continue this invaluable work. This past spring, we worked with the Southern Sustainable Agriculture Working Group and Rural Advancement Foundation International with the support of the USDA AMS – Local Food Promotion Program to help support the formation of agricultural cooperatives in the North Central Florida. Farmers throughout the state have been taking great strides to join forces for greater efficiency, economy and camaraderie. FOG’s work on this project gathered over 60 farmers throughout the North Central region of the state to discuss and plan potential avenues for cooperation. Farmer-owned, farmer-controlled organization could potentially aid in the distribution, sales and marketing for many farmers. By working together, local communities could receive greater access to sustainably-raised local goods, as well as increasing the income and resources of our Florida farmers. In order to continue growing the momentum for our local and regional food systems through cooperatives and beyond, we need your support! Please join with us as we continue this program and create a sustainable, local, just, organic food and farm system that is environmentally and ethically sound. Let’s change the Florida food landscape together! The first thing anyone will tell you about cooperatives is that forming a cooperative is different from forming any other business entity. To start up, a group of potential members must agree on a common need and a strategy on how to meet that need. Growers face unique challenges in every state, and while Florida’s farmers boast fresh produce production second only to California, the “Fresh from Florida” label is better recognized nationally and internationally than on the Florida dinner table. Responding to interest and demand from local farmers to increase the local consumption of Florida produce, Florida Organic Growers (FOG) engaged local partners in applying for the USDA AMS – Local Food Promotion Program (LFPP) planning grant. This grant would allow FOG to help facilitate the conversation and assist with any technical planning in concert with state and regional partners, including SSAWG, RAFI, FDACS, Healthy Jacksonville, SBDC, Local Roots Distribution and farmers in the North Central Florida area. In October, the LFPP grant was awarded and, in January 2015, three North Central Florida farmers interested in the Cooperative attended the Southern SAWG conference and were able to meet with managers of cooperatives and food networks: Robin Robbins of Virginia and Frank Taylor of Mississippi, respectively. In addition to the informative workshops at the conference, these meetings brought out the different logistic, labor and infrastructure issues that the leaders of the cooperative will need to organize, as well as what capacities should be understood before formulating a business structure. In the following months, FOG has worked with growers to organize meetings in Jacksonville, Live Oak, and Gainesville to focus on the strengths, weaknesses, and opportunities for farmers and area food system. 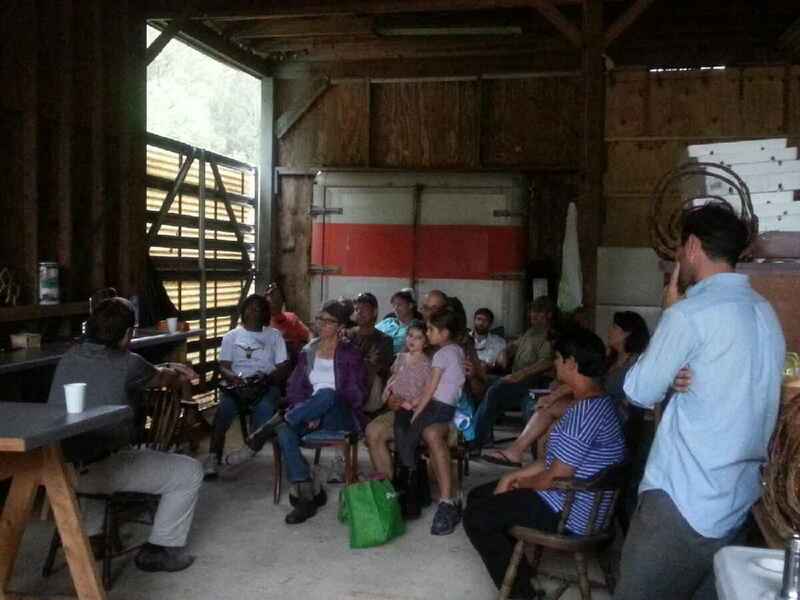 As the meetings progressed, participants tried to figure out what the most efficient way to organize area farmers, and the main ways that a cooperative could benefit all involved. Growers agreed that marketing and sales, including increasing the communication between farmers, buyers, and resource providers, collective purchasing, equipment sharing, education, and training, were some of the great possibilities that, by working together, may be able to increase the capacity of participating growers, while also benefiting their community. While the focus is on the farmer, we know that we can’t operate in a vacuum, so information and feedback was also solicited from area purchasers and distributors. Overall, buyers want local food, but face many obstacles in consistently ordering from their local growers. Some of their issues were the lack of variety, inconsistency in availability, lack of certifications or insurance, price points and communication. Cognizant of all these issues, the meeting groups moved forward with what would help them increase their sales and resources, with the reality of their markets. Work has continued throughout the region with the help of many partners, and much thought from farmers and local distributors. While the formation of the cooperative is still nascent, communication amongst producers has increased through face to face meetings, the formulation of the North Central Florida Farmer Cooperative group and the North East Florida Farmer Cooperative group on Facebook has allowed for quick and easy updates and communication on prices, collective buying needs, and event postings. In May, growers met together with RAFI, FOG and Matson consulting to discuss the relative health of their own operations before delving into a collective business. Additionally the group discussed the resources that may currently be available to them both federally and within the state of Florida. Together, they wanted to make sure there was a possibility of sharing market prices, creating a local logo for their clean, local produce, and eventually building their capacity to sell to their community. The group decided they would research what it would take to become a 501c5 (Agricultural Organization), and what local universities or design centers would be interested in helping them create a logo. Plans for a following meeting left the attendees excited about the possibilities and motivated that they had action items to complete for upcoming meetings. While the business plan is yet to be written, the movement towards a more robust local food system starts in small steps like these! To learn more and get connected, please contact Mary@foginfo.org. North East Florida Farmer Cooperative or North Central Florida Farmer Cooperative! 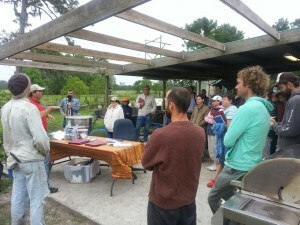 Join us in planning the formation of a North Central Florida Farmer’s Cooperative! 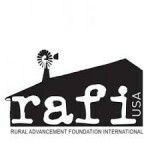 Florida Organic Growers is working with the Southern Sustainable Agriculture Working Group (SSAWG) and Rural Advancement Foundation International (RAFI) to help support the formation of Agricultural Cooperatives in the North Central Florida! Three meetings were held in the past weeks in Live Oak, Jacksonville, and Gainesville. We appreciate the input and insights of all those who were able to attend. For any of you who missed it, we have put together a summary of the discussions and action items for our coming meetings. Marketing and Sales, including increasing the communication between farmer and buyer, farmer and resource providers, and farmer to farmer. In addition to basic services the cooperative may provide, there was consensus given that cooperatives should function within their locality. For example, Gainesville would organize a cooperative, as would Jacksonville, with the potential for networking and communication between the two groups. As well, the meetings did focus on beginning the cooperative with fresh produce, before moving on to distributing animal products or value added products. In the next series of meetings we will focus on creating a mission statement and selecting folks that will be willing to continue this project as a planning committee. We will be sharing feedback from buyer surveys distributed and other grant initiatives that may help continue with the funding of this project. Any additional input is always welcome, and we hope to keep the planning meetings and process as transparent as possible. Please join us at one of our upcoming meetings if you would like to participate! Monday, April 20th 6:30 – 7:45 p.m.
Tuesday, April 21st 6 – 7:15 p.m.
Tuesday, April 28th 6 -7:15 p.m.
We hope to see you there! If you have any questions please contact Mary Hathaway at Mary@foginfo.org or at 904-419-3609 for more information.